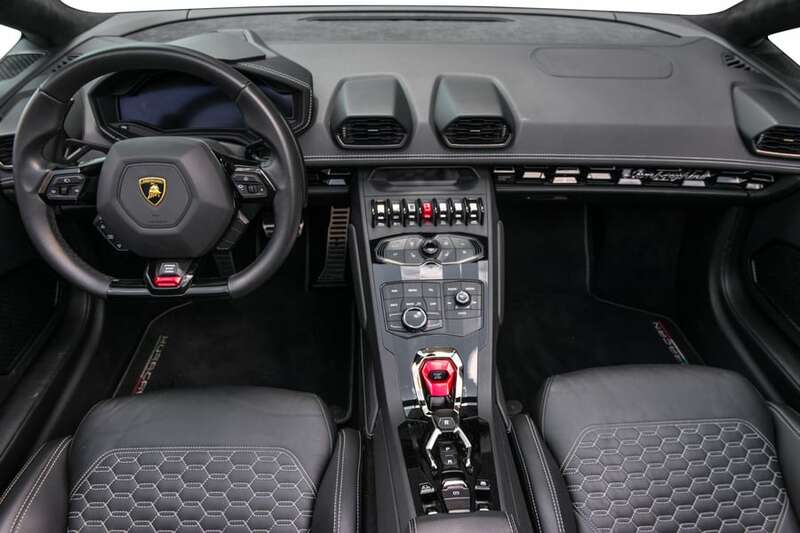 If you have ever wanted to get behind the wheel of the Lamborghini Huracan Spyder, now is your chance. 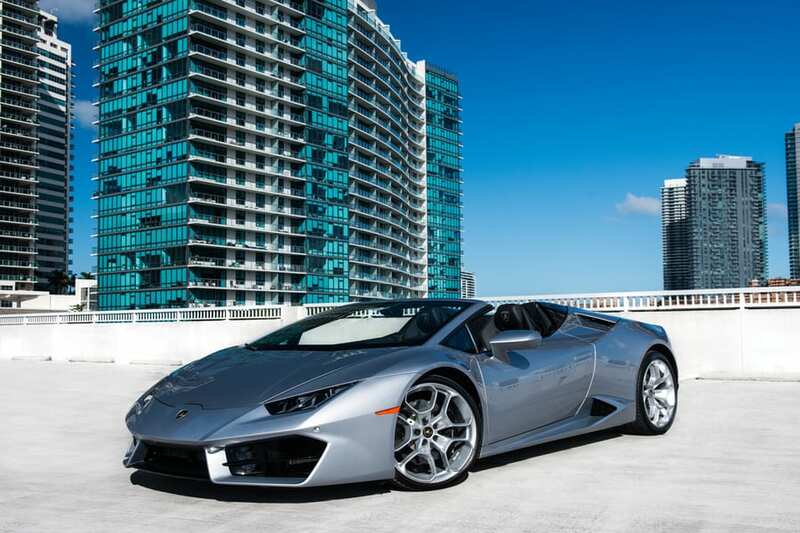 Paramount Luxury Rentals is proud to have this breathtaking vehicle in its collection. Anyone would be thrilled to rent Lambo Huracan in Miami. You can impress your friends and arrive at your next event in style, and you will turn heads and grab attention each step of the way. Nothing helps you stand out more than taking command of one of the world’s No. 1 supercars. 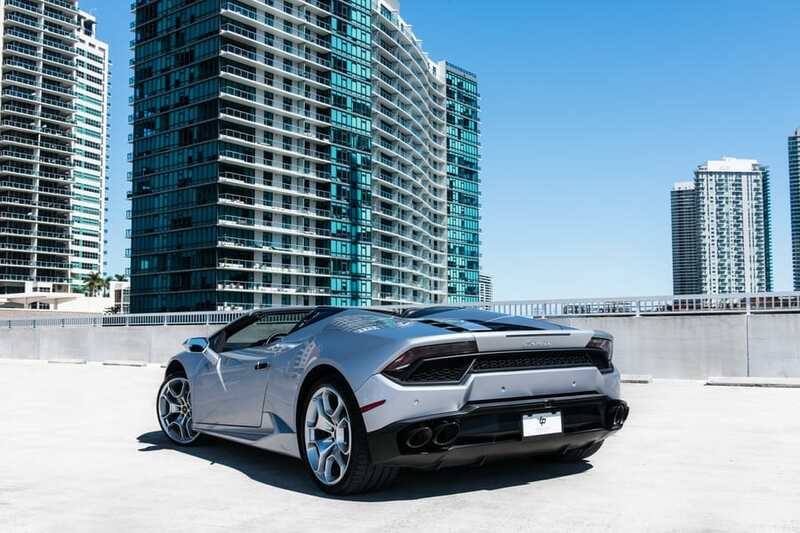 If you have never piloted one of these cars, you will soon know why Lamborghini has earned a spot among the most exotic machines on the planet. 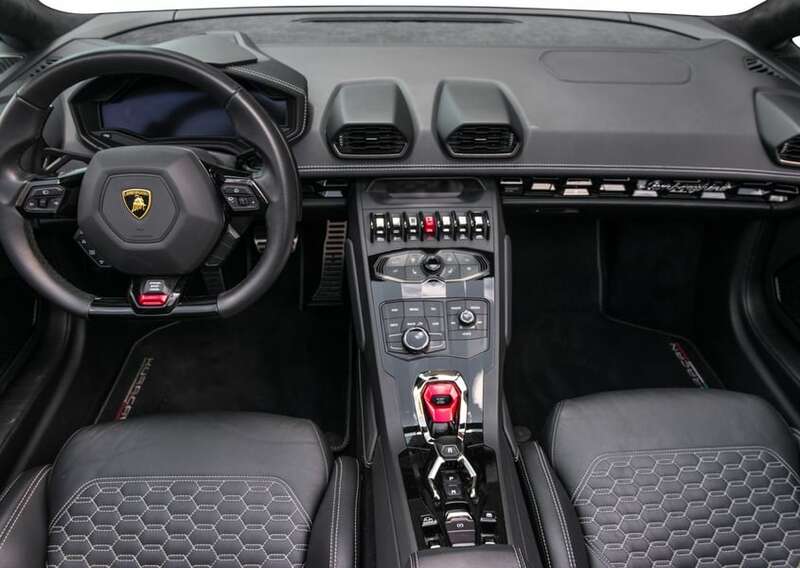 The Lamborghini Huracan Spyder does the job right when you want to enjoy the finer things in life. 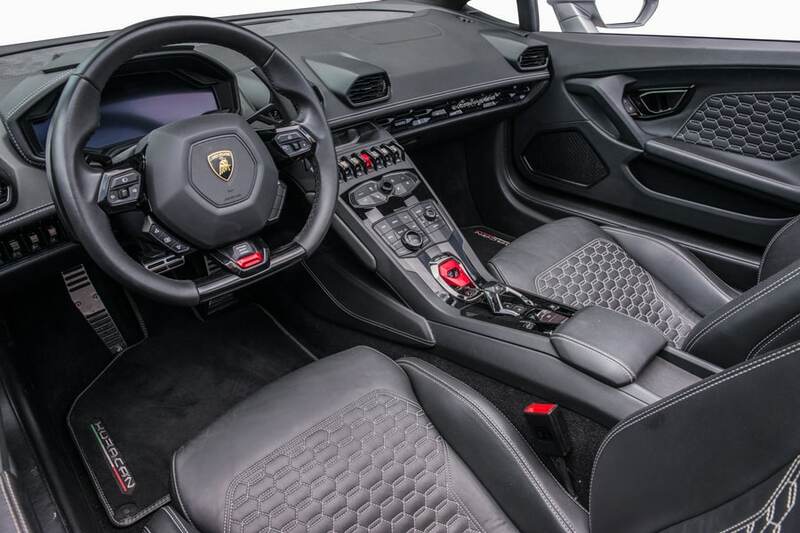 Learn about this Lamborghini’s specifications. 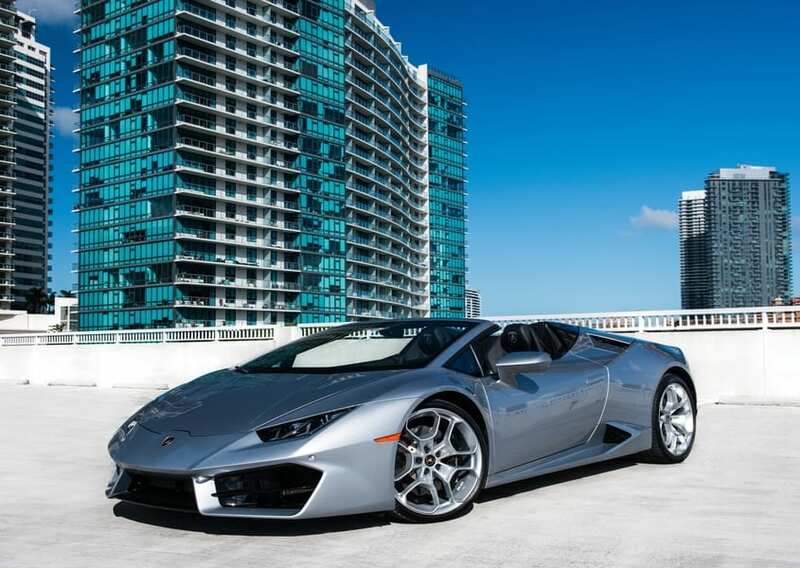 The car is silver and has a visual appeal that will make your heart skip a beat. 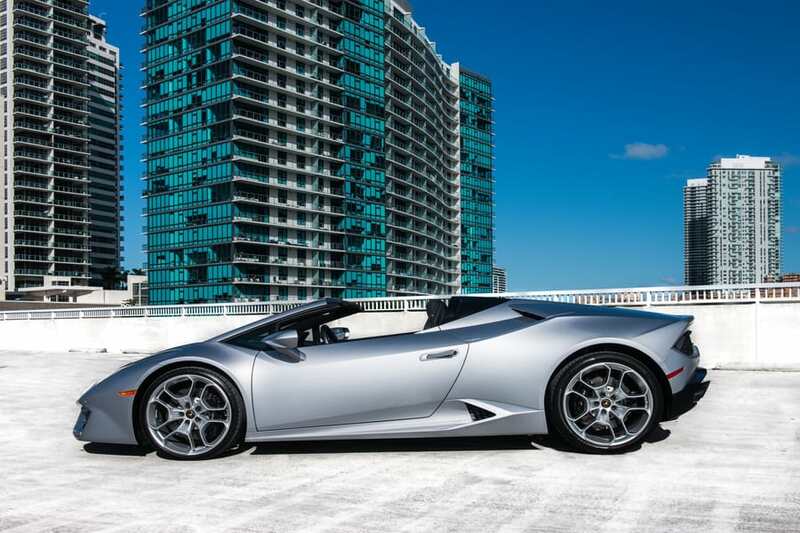 On a hot summer day, few things compare with driving the Lamborghini Huracan Spyder on the open road. 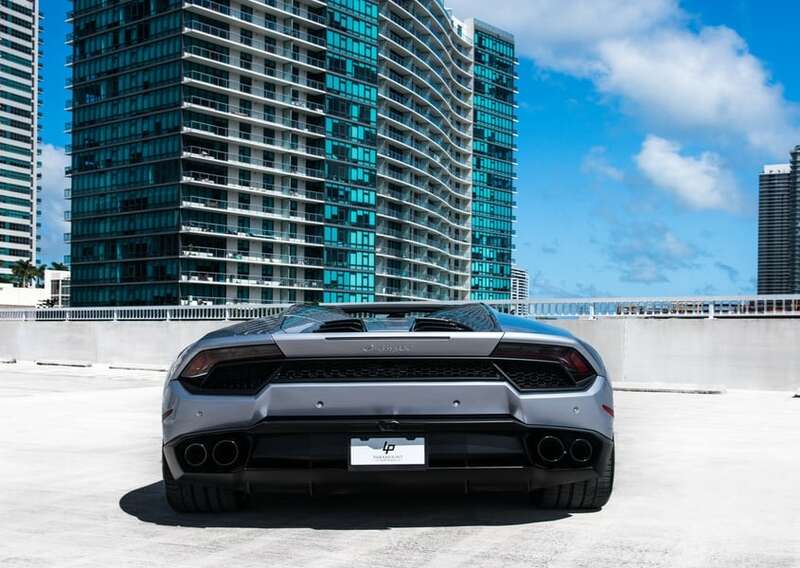 The 445-horsepower engine takes you from zero to 60 in 4.3 seconds. The acceleration is sure to put a big smile on your face. This car seats four people and reaches a top speed of 155 MPH, making it one of the fastest cars you can legally drive on public roads. 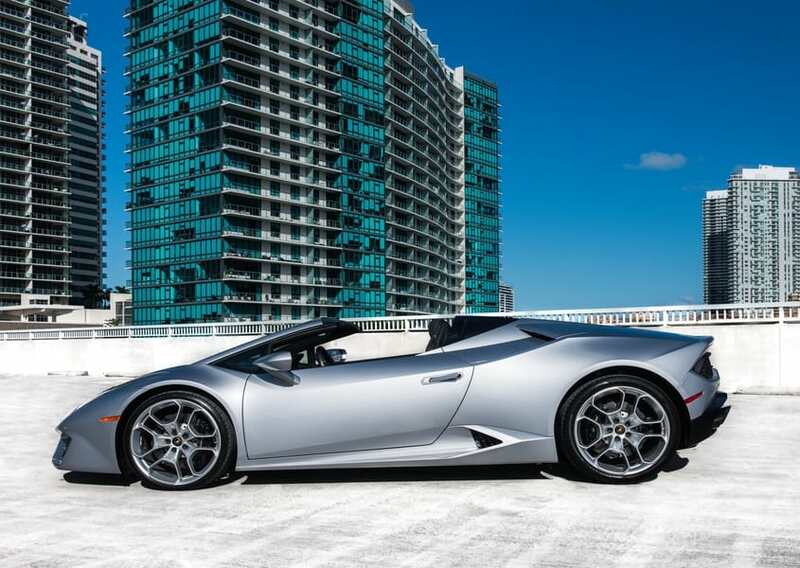 It’s one thing to read about the power of the Lamborghini Huracan Spyder, but feeling it for yourself is something else. 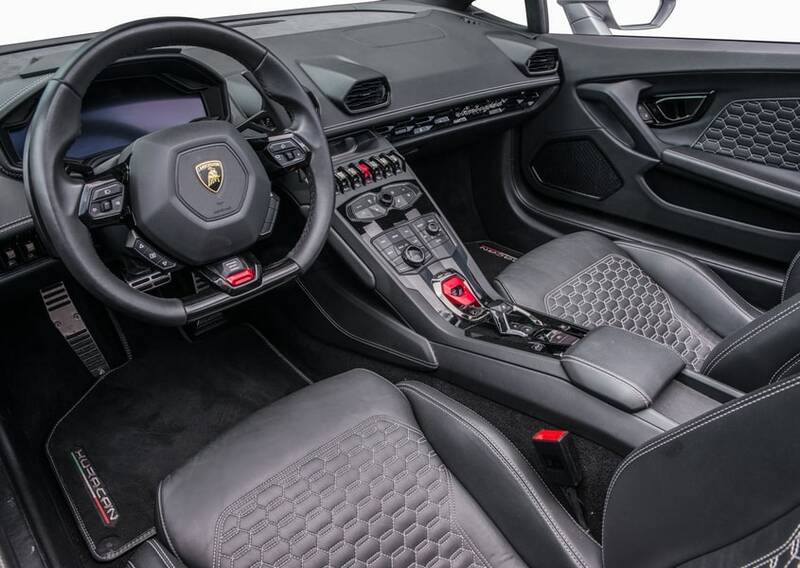 Imagine sitting down behind the wheel and pressing your foot to the pedal, and you hear the roar of the engine as the car takes off with a powerful burst of energy. 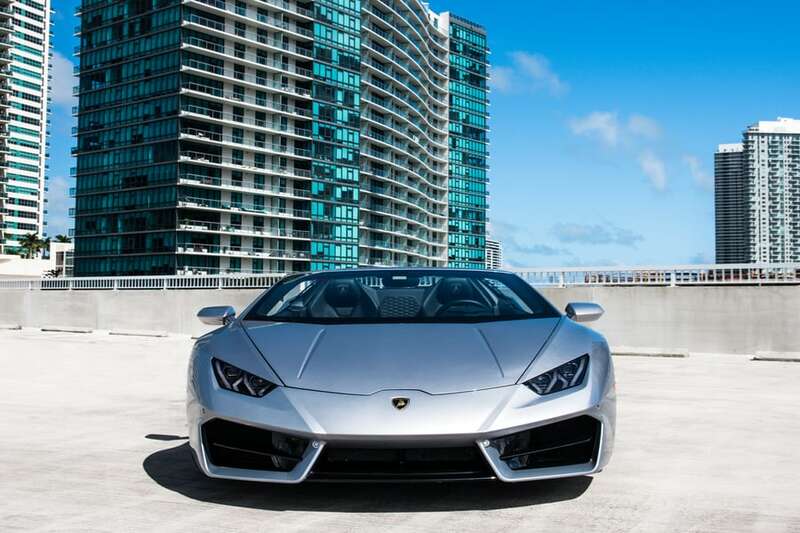 If we still have your attention, you can rent Lamborghini Huracan Spyder for only $1,000 per day. 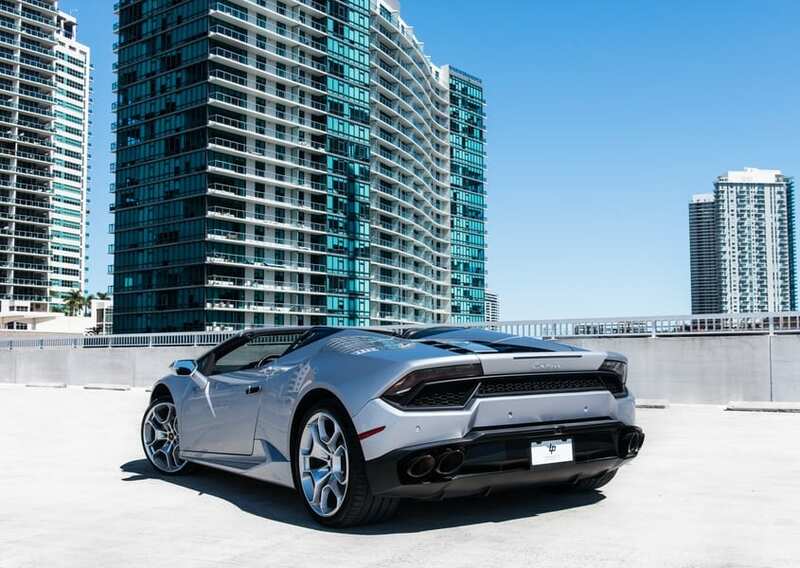 Getting behind the wheel of a Lamborghini is something everyone should experience at least once, and we are thrilled to give you the chance. 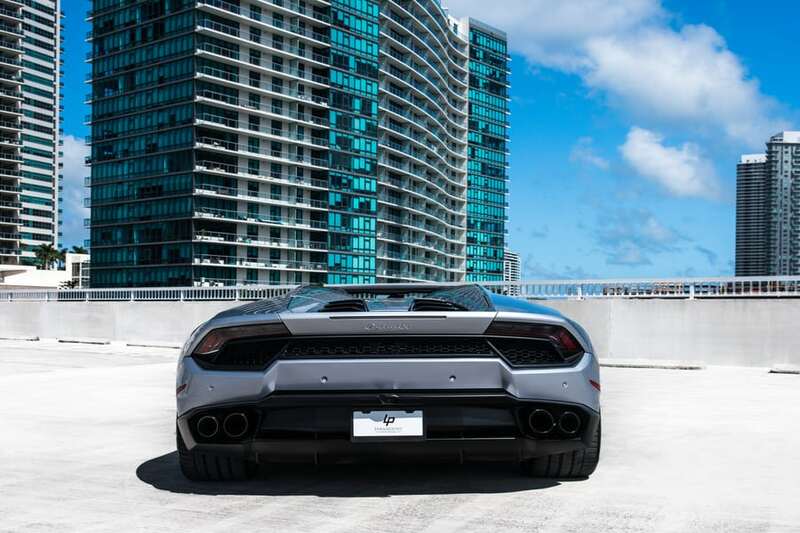 Don’t miss your opportunity to pilot one of the top sports cars the world has to offer. You can pick up the phone and call us at 786-441-7392 to make your reservation.